Hybrid bikes are so called because they are designed to combine the characteristic features of specialized bikes such as touring bikes, mountain bikes and road bikes. This combination/blend of features empower hybrid bikes to function equally well in any application and/or terrain. 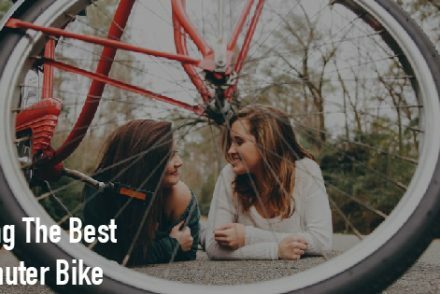 They are comfortable, stable, and very easy to use and these advantages make hybrid bikes popular with all kinds of riders including novices, experienced and skilled cyclists, children and commuters. 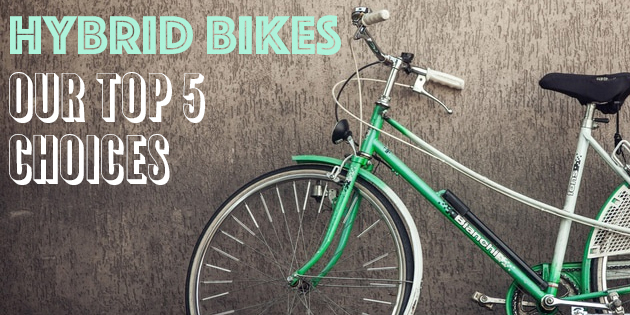 This article gives you your top 5 choices of the best hybrid bikes. 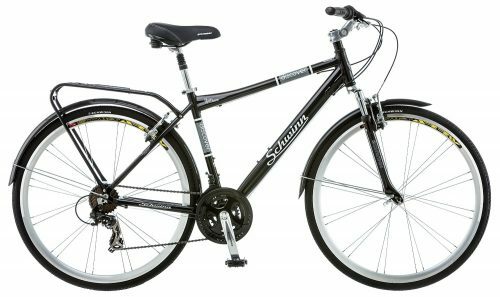 Built with aluminum frames for light weightedness and comfort, the Schwinn Discover Men’s Hybrid Bike features Schwinn alloy crank and Schwinn suspension fork. Shimano rear derailleur combined with 21-speed SRAM shifters give you the power to maneuver smoothly in any surface or at any incline. This bike also comes with rear gear carrier and Promax alloy linear pull brakes allowing for safe and comfortable riding experience. 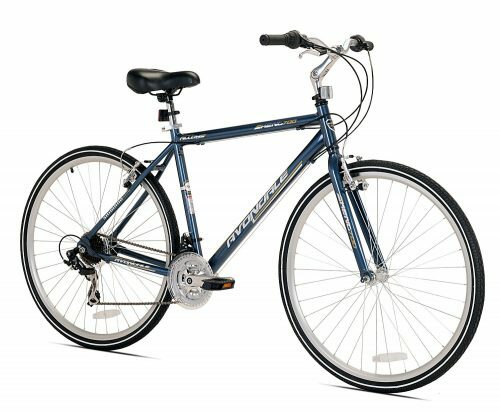 The Schwinn Discover Men’s hybrid bike is an excellent value-for-money product and is great for sauntering around town and is good for hauling things too. This bike is a step-through hybrid bike constructed with aluminum frame for stability and lightweightedness. This bike has 7-speed shifters which makes it great for urban commuting, cruising and for touring. The bike is designed with full matching fenders and is fitted with 26-inch wheels. The Shimano 7-speed shifter is fitted to rear and front handbrakes making this bike ideal for a wide variety of uses ranging from cruising to long-distance riding. The saddle made of brown synthetic leather and grips with conventional stitching allow for smooth stable and comfortable ride. The 2-inch wide semi-slick tires provide an excellently gentle roll on all terrains. The frames are swooped low allowing for easy step-through for climbing off and on the bike. The pedal position and the foot-forward seat makes the ride comfortable for riders of any height letting them put their foot down when stationary yet giving them the freedom to sit on the saddle comfortably. The frame of Kent Avondale Men’s Hybrid bike is made with 6061 aluminum for added robustness and yet is light and comfortable. The brakes of the bike constitutes the Linear Pull Aluminum V-brakes integrated with Sure Stop One-Lever Anti-Lock Braking system. This is a clever braking system which applies the rear brake first and then the front brakes ensuring maximum safety and preventing skidding. The bike features Shimano 7-speed RD-TX35 rear derailleur and Shimano RevoShift SL-RS25 shifters for great riding comfort on all terrains and at all inclines. The Kent Avondale Men’s Hybrid Bike is an amazing deal for the money you pay. 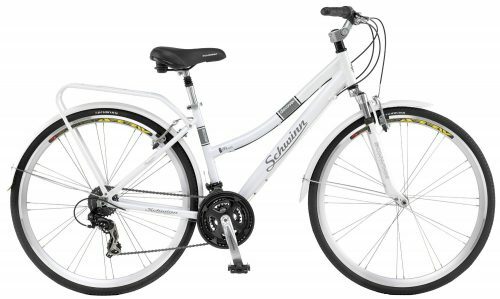 Constructed with aluminum city frame, the Schwinn Discover Women’s Hybrid Bike delivers amazing riding comfort. Enhanced comfort is achieved from the Schwinn alloy crank and Schwinn suspension fork. It features Shimano rear derailleur and 21-speed SRAM grip shifters giving you the power to sail smoothly on any surface. It also comes with rear gear carrier and Promax alloy linear pull brakes. 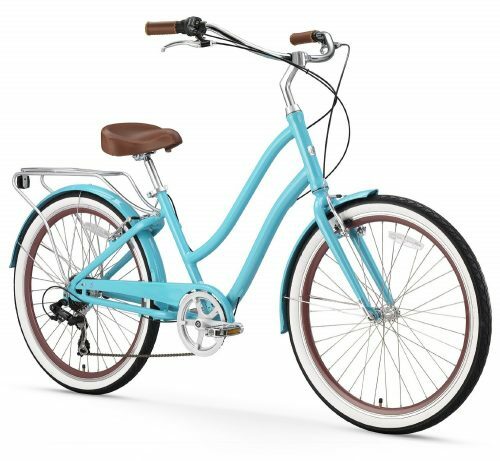 A padded saddle along with an upright swept-back handlebar are features that make riding on the Schwinn Discover Women’s Hybrid bike truly comfortable and pleasurable. With a nice-looking back rack and matching mudguards, this bike reeks of sophistication and yet delivers what it promises in terms of functionality, safety and riding comfort. This is a commuter/recreational bike for women and offers a comfortable, upright sitting position. It features a light aluminum frame and 700c wheels for added riding comfort and pleasure. The gear system consists of 21-speed shifters combined with Shimano Tourney rear derailleur. The alloy quick-release seat clamps, linear pull brakes and alloy rims add sheen, strength and a safe riding experience. 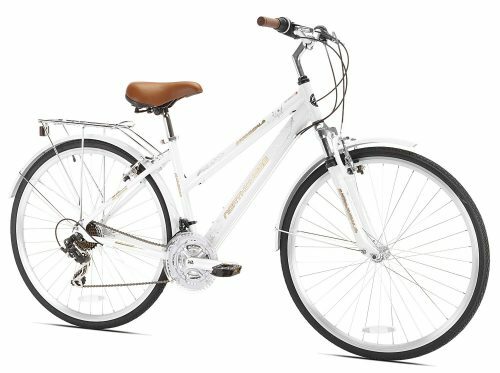 With matching fenders and rear rack, the Northwoods Springdale Women’s Hybrid bike is a sheer pleasure to behold and ride. I strongly believe that no matter what kind of innovative fuel-/electricity-powered vehicles are invented, the joy and pleasure of riding a bicycle will not diminish ever. In addition to adding “green” value to the environment, riding a bicycle is probably the coolest and the most fun way to stay fit; a timeless fitness regimen that will never go out of fashion. So, when you know that a bike will probably outlast you (provided you care for it and maintain it regularly) and perhaps carry your legacy forward, why not invest a little to get yourself a good bike? So do browse through my suggestions and I am sure one of them will match your style and wallet size. Do let me know which one. 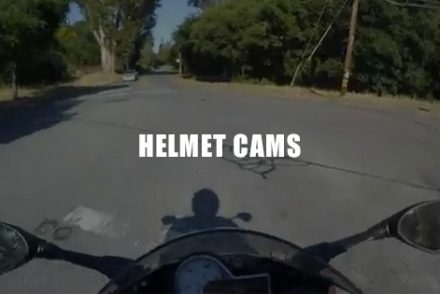 What’s The Best Motorcycle Helmet Camera? 5 Options That Will Blow Your Socks Off! 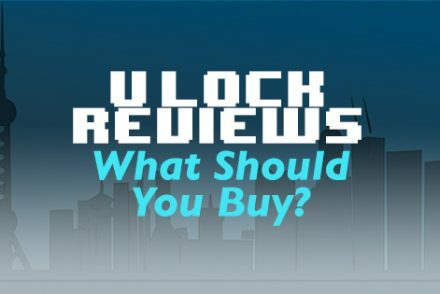 What’s the Best Bike U-Lock Available Today?